For all nature lovers and hiking devotees, Pula is the perfect place to enjoy such a hobby. 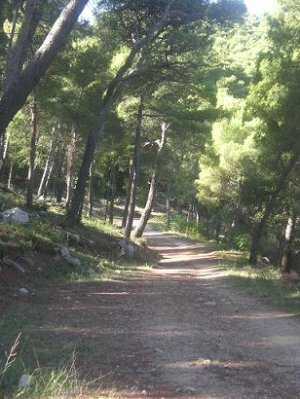 In the surroundings of Pula there are some a hundred kilometers of marked hiking trails. About 30 kilometers of trails, some of which are close to the sea, pass through the famous Šijana Forest near Pula. This well known forest, whose original name is Kaiserwald or Imperial Forest, is just as pleasant in spring and summer. So, if you want to spend your holidays discovering the many trails, stop by at the Tourist Office Pula, Forum 3 for a map of the hiking routes in the area. Don’t forget that walking stimulates the release of endorphin, known as the happy hormone, so if you don’t have time for walking during your work days, maybe your holidays are the perfect time to make this first step.